As I was getting all of my Christmas decorations out of the attic and garage, it reminded me of how much I need to get my home organized. I came across a site, Honey-Can-Do, that has so many items to help get your home organized and looking stylish at an affordable price. I had to give some of their products a try! 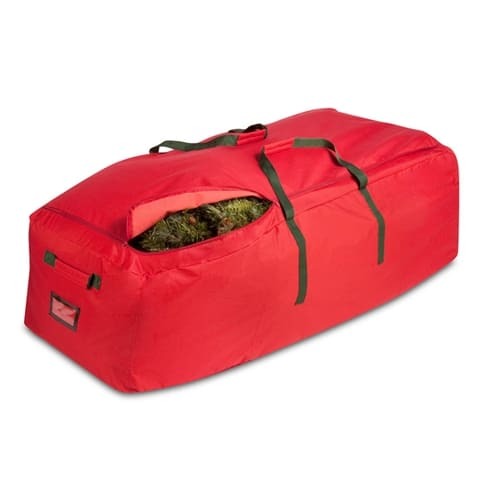 The first item I was sent was the Artificial Tree Storage Bag in red. This bag is going to make my Christmas storage so much easier! I was storing my artificial Christmas tree in the box that it came in and it was not holding up very well. I love this storage bag! It is made of canvas and is very durable. It will last a very long time. 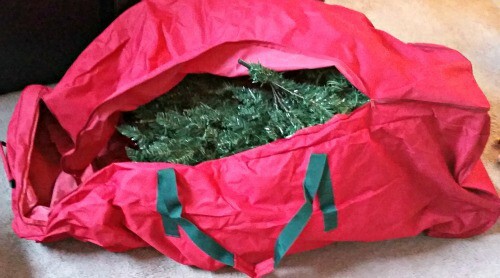 I have a 7 1/2 ft. tree and it fits easily into this bag. There is plenty of room to store more things if I need to. If you have a taller tree, you should be able to fit it in the bag without any problems. My favorite part about the bag is that it has wheels on one end. This will help moving it in and out of storage so much easier. Yay! 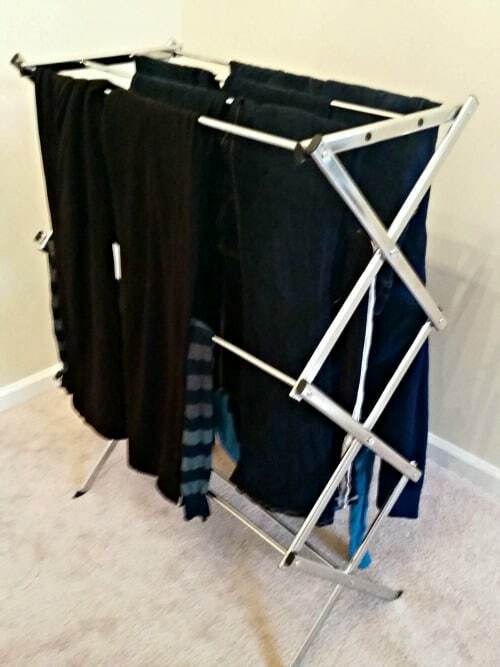 The second item that I tried was the Commercial Drying Rack, Chrome. I am tall so I have to hang up all of my jeans, pants, and long sleeve shirts to dry. Otherwise, they shrink and get too short for me. I used to have a wooden drying rack but it was flimsy and it broke so I was really in need of a new drying rack. 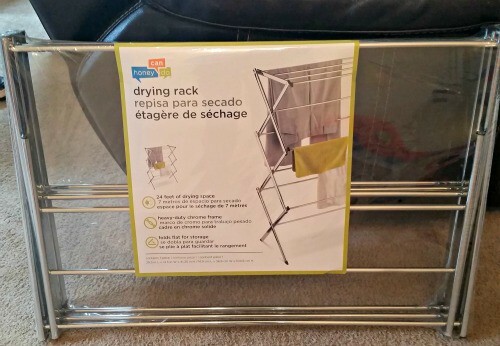 The Honey-Can-Do drying rack is really durable and can hold a lot of clothes at once. I was able to fit 5 pairs of jeans and 4 sweaters on it at once and there was still room for more clothes. I love that it folds up really easily and is compact for easy storage. It fits right in between my wall and washing machine. I love all of the products that Honey-Can-Do has to offer. There is really something for every room in your house. The best part is that the products are not only stylish, they are affordable as well. I could spend hours looking at all of the cool products available. Honey-Can-Do is offering one of my readers the chance to win their very own Artificial Tree Storage bag like the one I received. This is open to US residents only. Just fill out the form below. Good luck!! I need an roller brush for my deck needs another coat of paint, which is on my honey do list. I need to build a shelf for my sun room. That tree bag would be perfect, but also the glass ornament storage box, too! I really like the Bamboo Spa Bench and the 7-Piece Wicker Hamper and Bath Set. This tree bag alone would help keep me organized! I really need to work on that. I think i’m going to love this new company! I could use the Expandable Mesh Shelf Drying Rack, Silver . I could really use this Christmas tree bag to get organized. Yes I could use this. 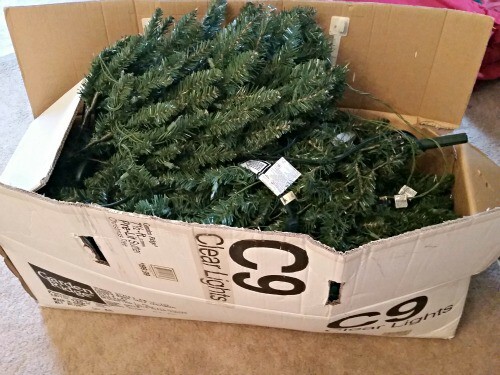 I could the Christmas Tree storage to preserve my new Christmas Tree!